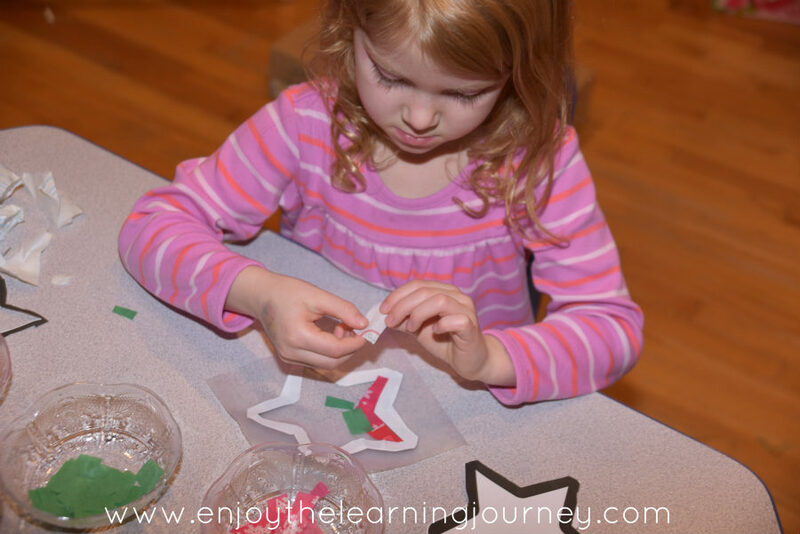 Do you have a favorite Christmas book that you read to your children? There are so many wonderful Christmas books for children and I cherish these years of sitting together with my own children, reading about Christ’s birth and reflecting on the miracle of Jesus. A couple of years ago I discovered the book Song of the Stars by Sally-Lloyd Jones and it has become one of our absolute favorites. If you are looking for a book that stirs your soul and makes the wonder and awe of Christmas anew then this book is for you. In this story, as God’s creation anticipates the arrival of His great gift to the world, the animals above and below and all things in nature, stir with anticipation and excitement of the coming of the Light of the world. 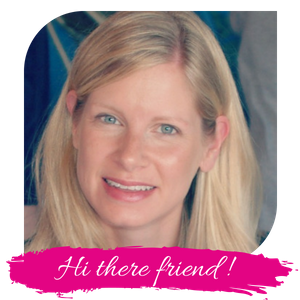 The angels light up the sky and all join in a chorus of praise, as the Light, the One, our Rescuer is here! And as we gaze at this little baby, surrounded by the animals who so anticipated his arrival, we are moved to praise and worship for the most amazing gift we’ve ever been given. 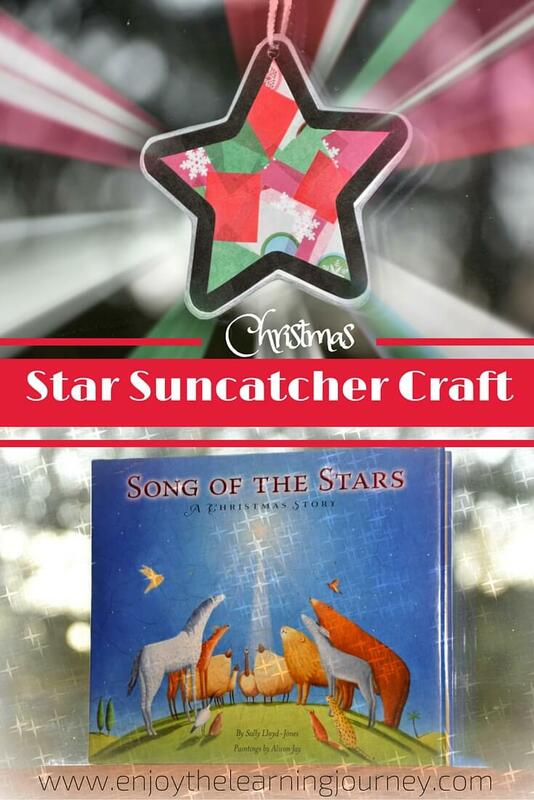 As a follow-up to this beautiful book, the kids and I made a paper star suncatcher to hang on the window to represent the brightest star that poured down light onto the place where our Rescuer was born. The sun will shine through the little star this Christmas season and remind us of the Light that came to light up the world. 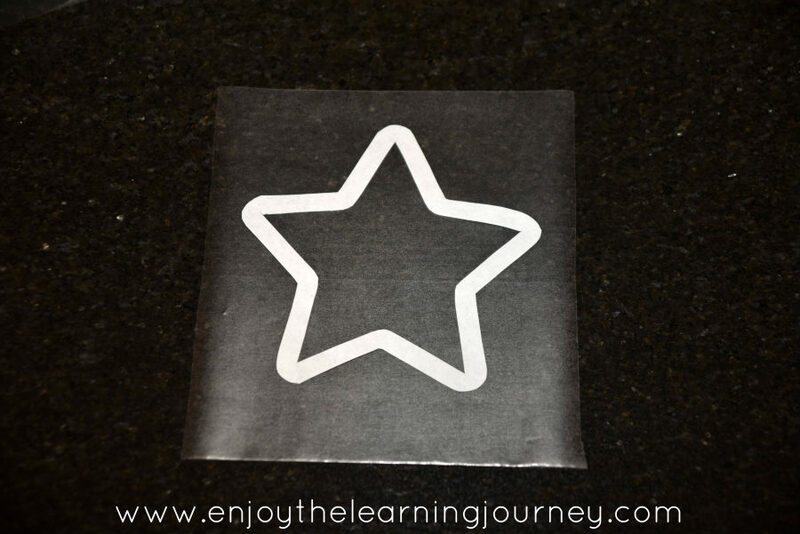 Print the star outline – large or small. 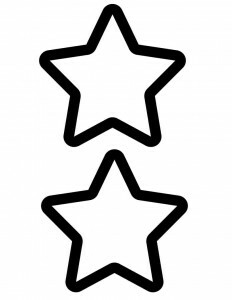 Cut out two stars on both the outside and inside edges. 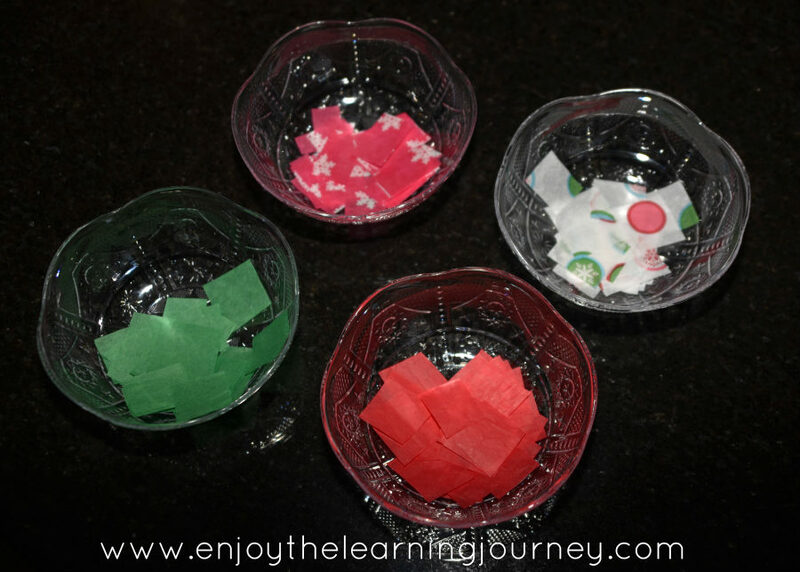 Cut out two equal size pieces of Con-Tact paper. 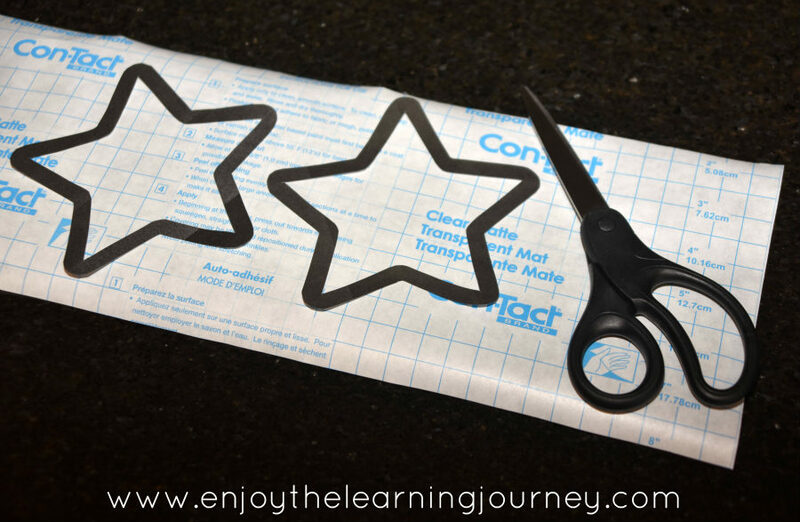 Remove the backing of one of the pieces of Con-Tact paper and put one of the stars black side down on it. 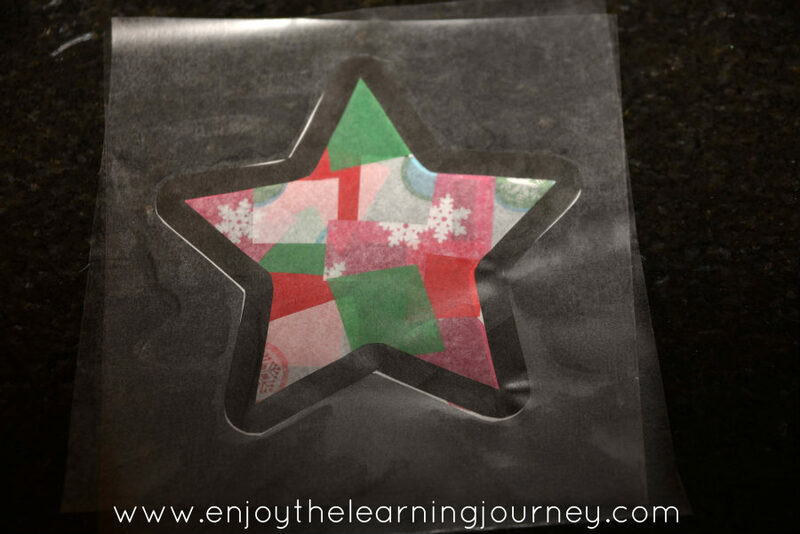 Take pieces of colored tissue paper and arrange them collage-style on the star. 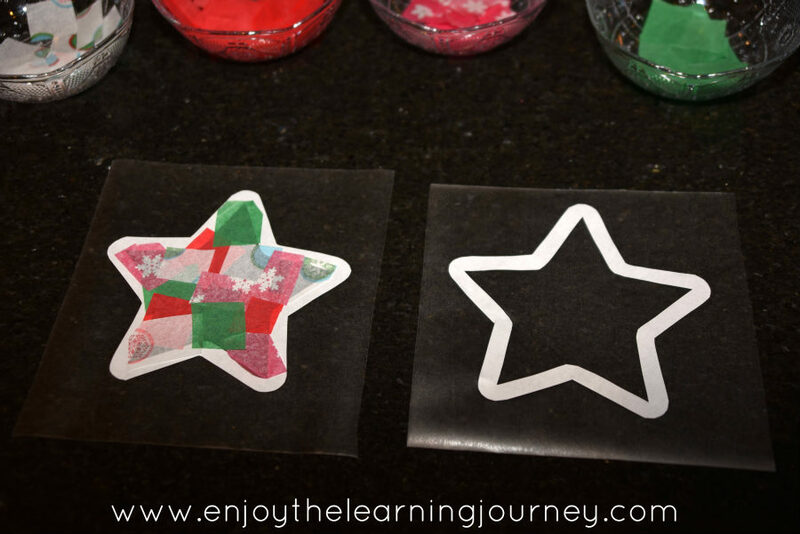 Trim any edges that go over the outside edge of the star. 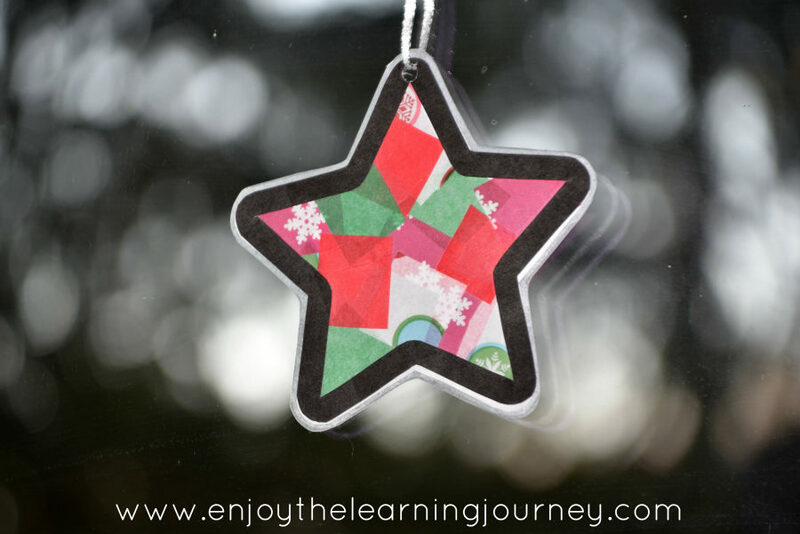 Remove the backing of the other piece of Con-Tact paper and put the other star black side down on it. 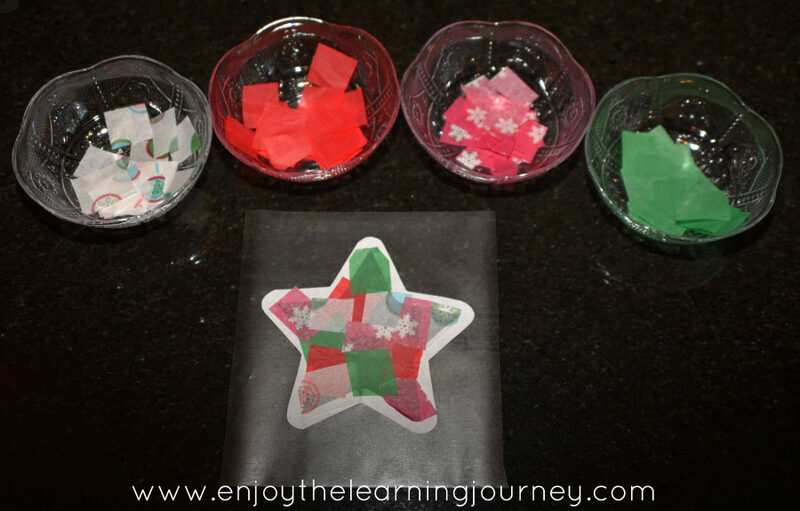 Match the outer edge of the star to the outer edge of star with tissue paper on it and bring them together so the sticky sides of the Con-Tact paper stick to each other. 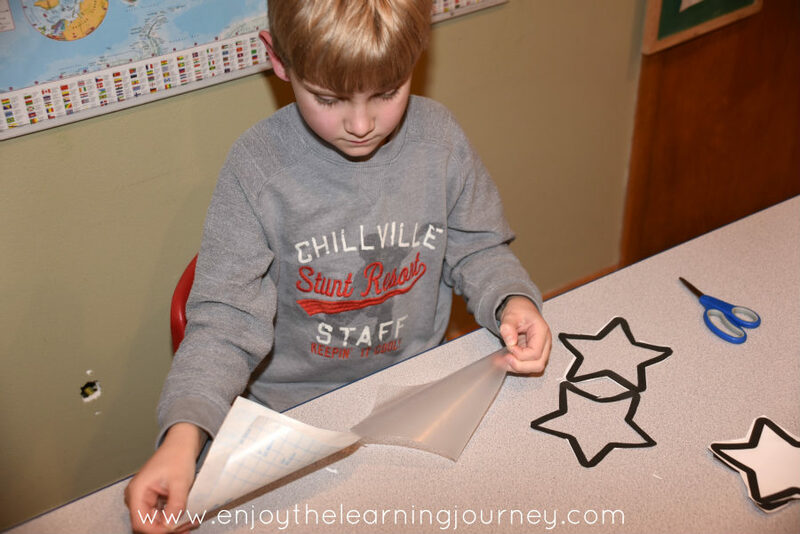 Use a circle hand punch to create a small hole on one of the star points. 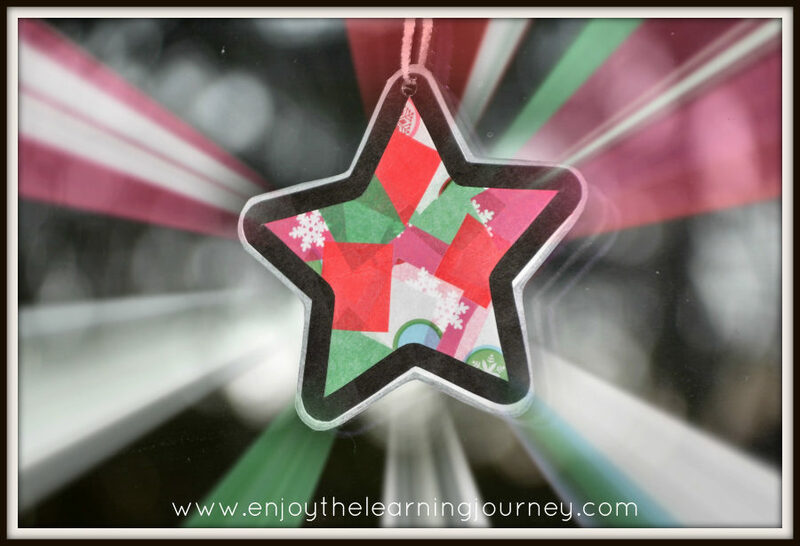 Thread a piece of ribbon through the hole, tie, and hang up your beautiful, new star suncatcher! Thanks Andrea! 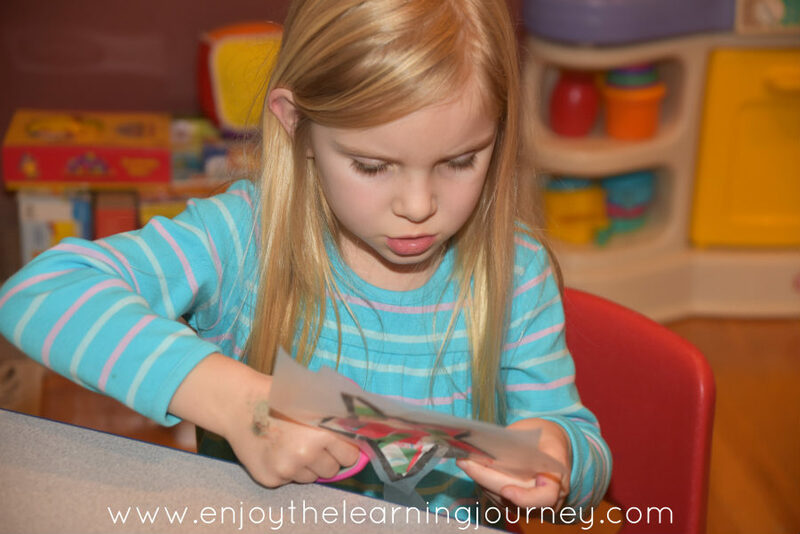 Yes, Contact paper crafts are a lot of fun for sure!